John Gavin Malkovich (born December 9, 1953) American actor, producer and director. He was nominated for the Academy Award, and he also won an Emmy Award. He was in the Robert Zemeckis' movie, Beowulf. That movie also starred Anthony Hopkins and Angelina Jolie. Malkovich was married to actress Glenne Headly from 1982 until they divorced in 1988. On June 6, 2013 in Toronto, Malkovich rescued a man after he was sliced in the neck. Malkovich helped the man until the paramedics arrived. 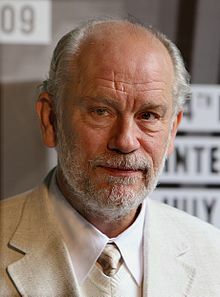 Wikimedia Commons has media related to John Malkovich. Fisk:Why does John Malkovich want to kill me? This page was last changed on 22 November 2018, at 08:55.